OH MAH GODS! BSG season three came in the mail today! Somebody call Chief Tyrol. I can’t work this thing. Rights wit yas!! Oh Frakin frak!! Every time I turn my printer on my cats come running to watch it. 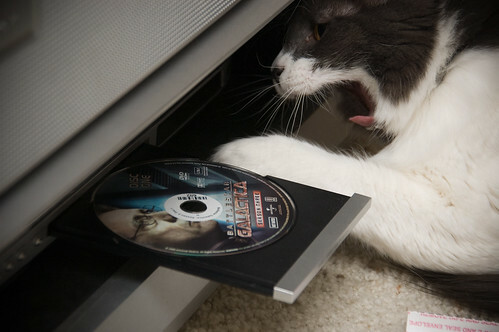 Cats are freaks. Adorable freaks. ACK! 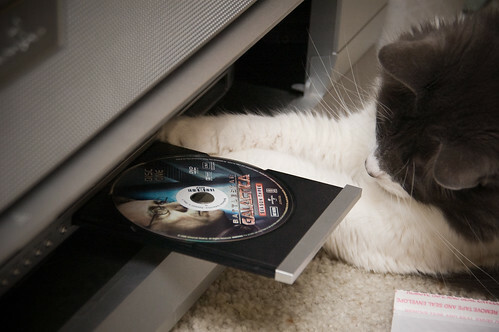 So, did you ever get the DVD working for him? Yes, thank the gods. Desmond is a BSG addict. 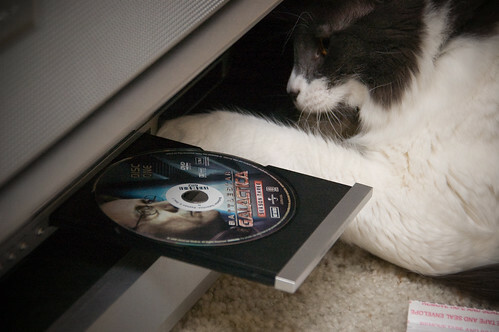 Or, he just likes when the DVD player drawer opens.